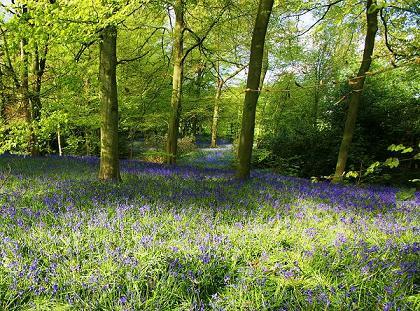 There is much to see for the Garden Lover at Adlington Hall. The Lime Avenue dating from 1688 leads to a woodland Wilderness with winding paths, temples, bridges and follies in a rococo manner. A path through the laburnum Arcade leads into the formal Rose Garden, then on to the Maze created in English Yew. The Father Tiber Water Garden provides a peaceful haven with its ponds, fountains and water cascade and the newly created parterre provides a colourful addition to the east wing. Other features include a large herbaceous border, rockeries, specimen trees, azaleas and rhododendrons. 2019 Adlington Hall - House & Garden -Normally open from April. Please visit website for dates. We operate private, discounted tours for groups of 20 or more throughout the year. Please contact us to discuss your requirements. If you want to take a break near Adlington Hall Gardens, why not stay in one of our recommended hotels. Look now for hotels near Adlington Hall - click here.